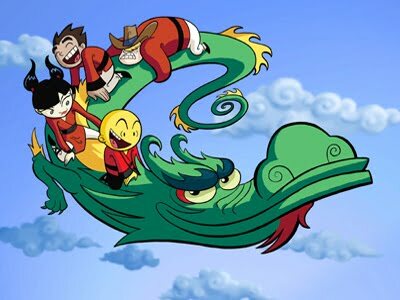 Four young monks – Omi, Kimiko, Raimundo, and Clay – are forced into cooperation at the Xiaolin Temple after learning they are the Chosen Ones, monks chosen to become Xiaolin Dragons. At first things are difficult, but soon they become friends and are able to work together to search for Shen Gong Wu. Along the way they must battle the bumbling Jack Spicer, “evil boy genius,” and the Heylin ghost-witch Wuya, who Jack accidentally freed from a 1500 year imprisonment in a puzzle box. Through thievery, Spicer eventually possesses enough Shen Gong Wu to form Mala Mala Jong, an ancient monster that Wuya uses to help her gain control of the world. 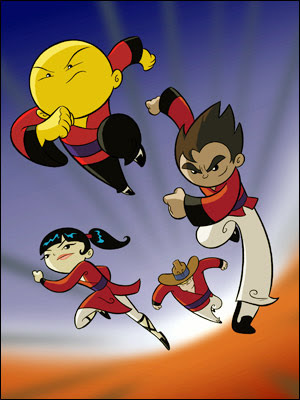 Raimundo defies orders and fights the monster, causing the remaining monks to fight and defend the remaining shen gong wu in the Temple’s possession. 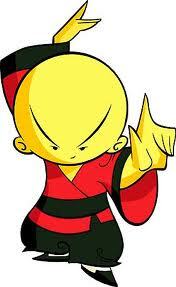 All of the monks, with the exception of Raimundo, are promoted to Xiaolin Apprentices due to their bravery. Enraged and humiliated, he joins the Heylin side as Wuya’s new assistant and helps her regain her human form. Episode 2 – Like a Rock! 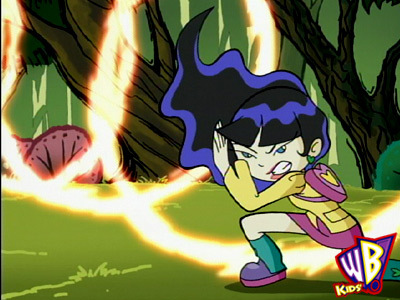 Omi travels back in time and receives a second puzzle box from Grand Master Dashi, the Xiaolin monk who initially trapped Wuya, and freezes himself using the Orb of Tornami. In the present time, the frozen Omi – buried underneath Wuya’s palace for 1500 years – breaks free of the ice with the puzzle box in hand. Raimundo, repulsed by the Heylin side, decides that his rightful place belongs in the Xiaolin Temple and traps Wuya in the new puzzle box. 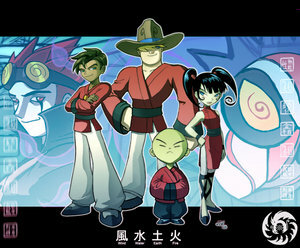 After returning to the Temple, the monks continue the search for shen gong wu. Eventually Master Fung promotes Raimundo to Xiaolin Apprentice along with the others. After this, the monks are introduced to Xiaolin monk-turned-evil villain Chase Young. Chase takes an interest in Omi and becomes determined to manipulate the young monk’s mind into joining the Heylin side. When Master Fung becomes trapped in the Ying-Yang world, Omi asks for help from Chase; he succeeds in rescuing Master Fung, but upon leaving the Ying-Yang world his bad chi takes over and he joins the Heylin side. Chase restores Wuya to her human form, though without her powers. The remaining monks soon learn that Chase had sent Master Fung into the Ying-Yang world knowing the events that would unfold afterwards, including Omi joining his side. The monks, Dojo, and Jack Spicer travel to the Ying-Yang world to retrieve Omi’s good chi and return him to the Xiaolin side. After returning Omi’s good chi to him and gaining him back, the monks are promoted yet again to Wudai Warriors. They are then introduced to Hannibal Roy Bean, an evil villain who lives in the Ying-Yang world. Toward the end of their journey, Master Fung tells the monks that they have one final quest before the leader will be revealed. Omi decides that he will stop Hannibal Bean from turning Chase to the Heylin Side; through time travel, he succeeds. However, when he returns to his present time, he learns that his actions have made things worse. Instead of Chase joining the Heylin side, it is Master Monk Guan whom Hannibal Bean turns evil. The monks and Chase are captured by Hannibal Bean, Wuya, and the evil Guan; Chase sacrifices his good self in order to save the monks and give them the opportunity to fight and return everything to the way it was. The monks succeed, and the timeline is fixed. At the very end of the series, Raimundo is revealed as the team leader, also known as Shoku Warrior.